Sprung is a company that creates, manufactures and installs high-quality tarp structures for a wide variety of uses. 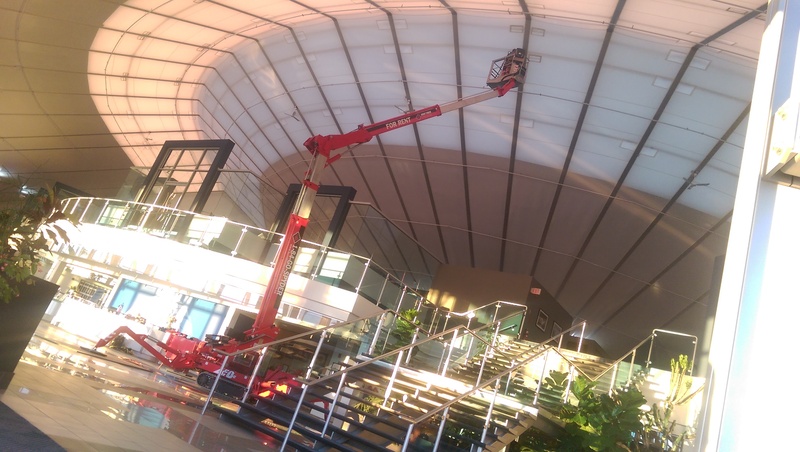 They needed a way to install some replacement materials in the interior of their office building – a stunning open concept structure with a high ceiling. 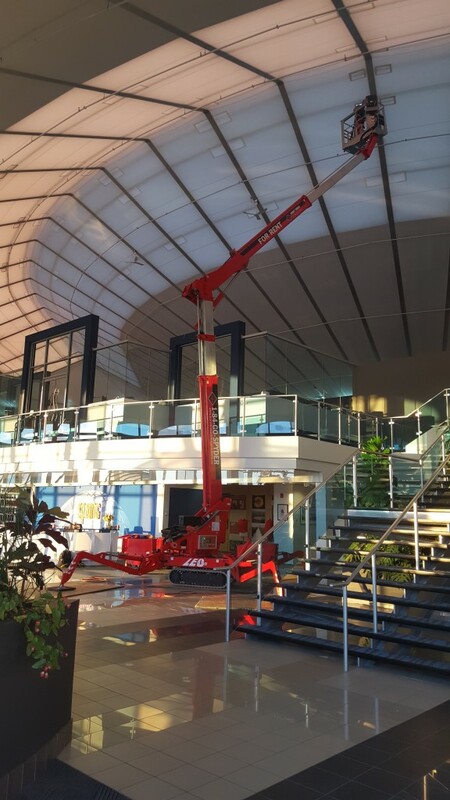 The Teupen TL69A compact man-lift was the only lift that could provide with both the height, horizontal reach and light weight required to perform the task. The standard option of using either the diesel or 110V 20amp power made it even easier to decide that this was the machine for the job! Look how easily the TL69A maneuvers around the space at Sprung. 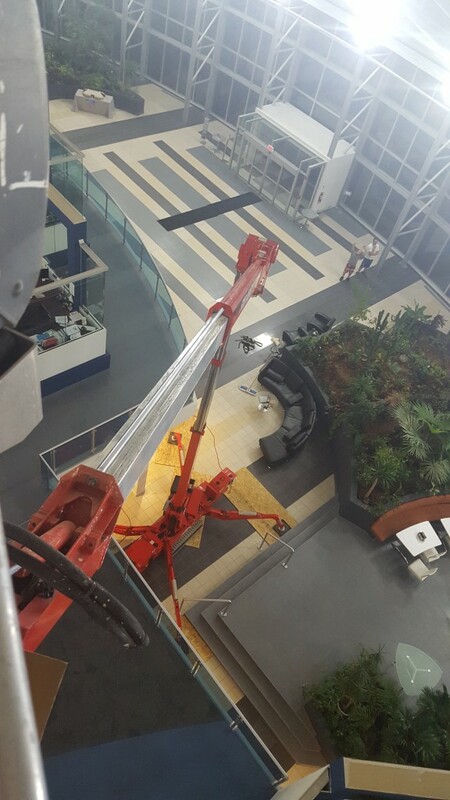 A look from up on top!